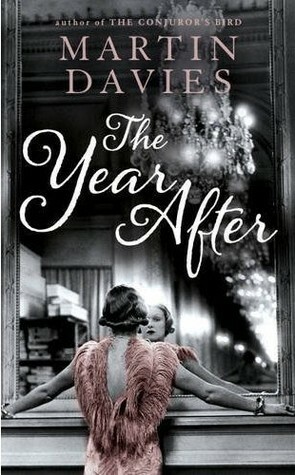 This week I'm featuring the opening paragraph from The Year After by Martin Davies, which I purchased a few months ago. London in 1919 was a city of shadows. I arrived late in the evening, my uniform still grimy with Flanders dust, and took a room at the Mecklenburg, reluctant to face the emptiness of my own rooms in Rudolph Square. It had been a solitary journey, the boat quiet and the train nearly empty, and I felt subdued. I'd gone to war in the company of friends, people I knew well. I was returning alone, to a city where I felt a stranger. What do you think? Would you continue reading? I'm looking forward to starting this novel. I'm curious about the narrator, find the cover intriguing, and consider the setting and era personal favorites. First Chapter ~ First Paragraph #43 was originally published by Catherine for bookclublibrarian.com. This post cannot be republished without attribution.